Good morning! Today I'm on my way from Salt Lake to Missoula, Montana for my Grandpa's funeral. It's definitely a bittersweet time. His wife passed away when I was very young, and he's had a rough last while due to cancer. He will be dearly missed, but the whole family is at peace knowing that he is no longer suffering and now reunited with Grandma. So sorry about your Grandpa. So sad no matter how old, young, healthy, or sick. Cherish the time with your family even if you wish it was for better reasons. 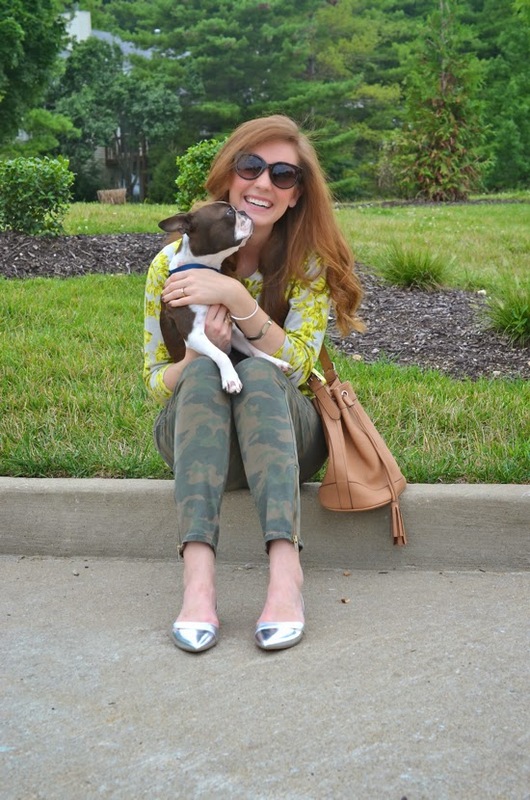 Ok now onto your fab outfit and that adorable pup! I love the combo of floral and camo. I would never think of mixing the two but you make it look amazing! Great look girl! 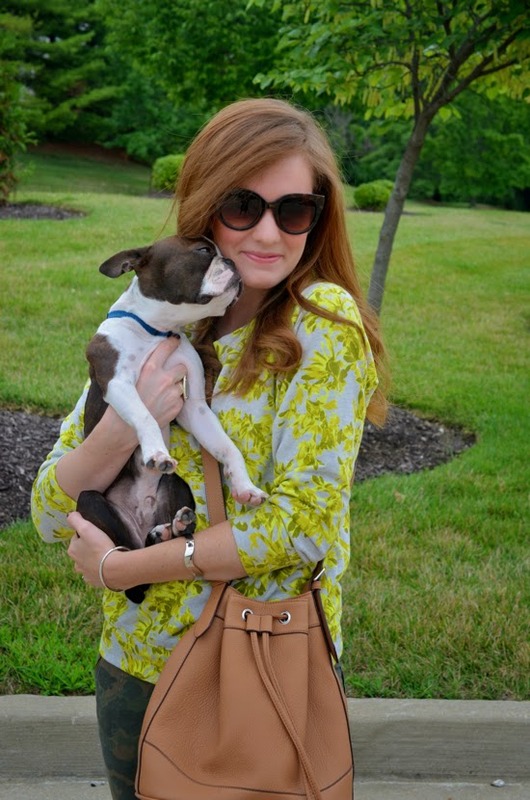 Stopping by from the Fashion Friday linkup. So sorry to hear about your Grandpa! 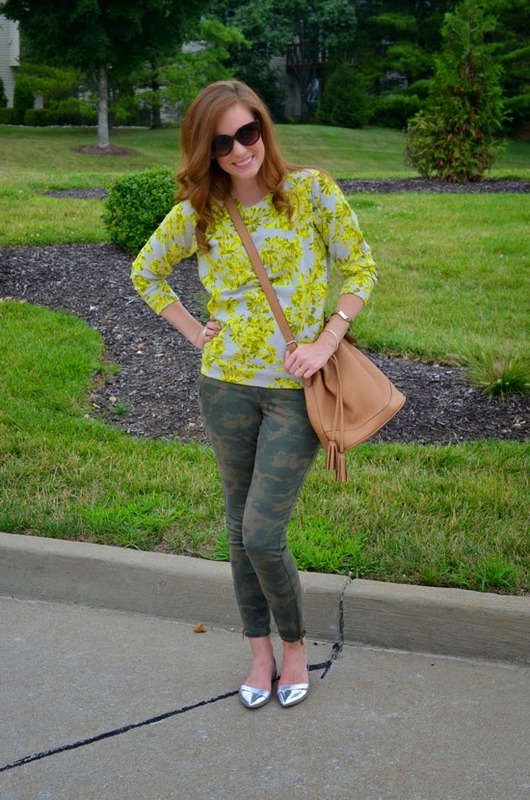 Love the camo and floral combo! Such a chic look! So sorry about your grandpa! I'm glad you got to be there for the funeral though. And you look darling! Your hair looks especially cute :) As does Sherlock. Such a cute look!! I'm obsessing over the perfection that is that sweater! And your doggie is adorable too! sorry to hear about your grandpa's passing. As for your outfit, I love the whole ensemble. 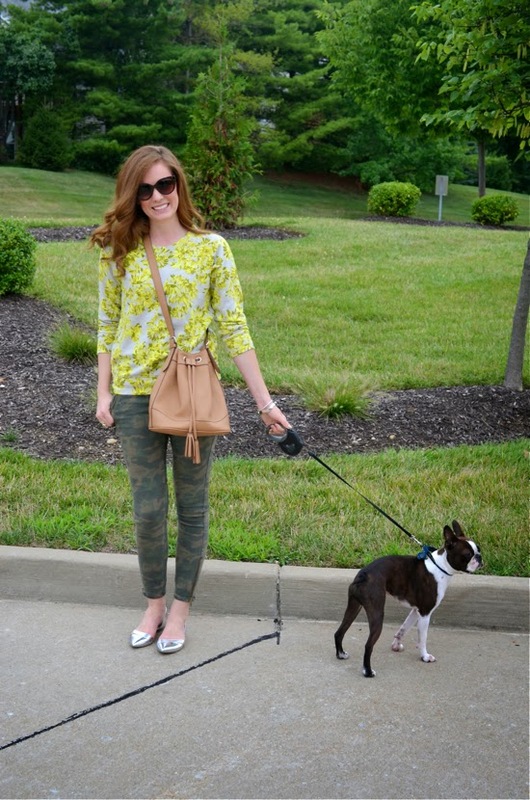 The bright and cheery top works well with your skin tone and I like how you've styled it with camouflage. You look great, cute dog too! My deepest sympathies and condolonces for your recent loss. May you find comfort in knowing he is reunited with his wife, and will continually watch over you and your family. As for the outfit- so chic! Love the camo for sure. so sorry for your loss..but you are looking every cute! Love the pop of silver! Hope everything goes well for you and your family this weekend! I love mixing prints! Such a cute puppy too ;). 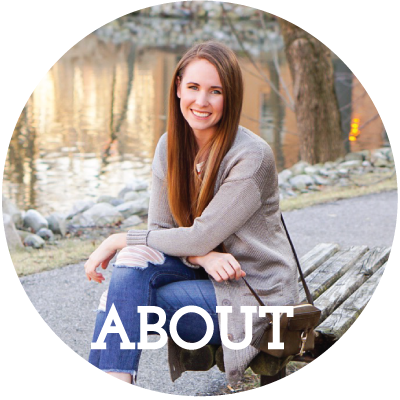 OBSESSED with your blog design! The watermarks are too cool! Featuring Friday at Bacon Time! I have some camo pants, I would have never thought to pair them like this, but it looks great.